Say, you met a new group of people who are bon vivant just like you, and you spent a nice evening with them. Before you meet each other again next time, you wanna exchange your social media accounts to keep in touch. How would you construct your question in order to add your new friend? Asking for phone number? Or full name? Or long username? Or scan his/her QR code? In a near future, users in Instagram can follow their friends through a new feature called Nametags, which is technically an improved QR code. You can present your own Nametag to others, without typing in your long username, your new friends could scan it through the Instagram stories camera, and done. Instagram team has been testing out this function since April 2018, and currently according to some reviews, users in UK are able to experience this new feature. So, what is emergent here? For the mechanism of this technology, of course it is not new. QR code was firstly invented in the mid-1990s in Japan, and was already widely used in marketing and advertising purposes for consumer communication (Ozkaya, Ozkaya, Roxas, Bryant, and Whitson 209). People are familiar with QR codes, indeed. We encounter these black-and-white images on our boarding pass, discount coupons, and some entrance tickets, and we see these bi-dimensional barcodes on promotional posters. But for the use of adding new friends, it is not mainstream, at least not in the Western countries. Typing in numbers or letters still dominates the way of adding new friends on social media platforms. In short, this new feature challenges the two main critics about QR codes, lack of aesthetics (Dou and Li 63) and no quick access to scan (Shin, Jung and Chang 1418) in terms of infrastructure. Unlike a conventional black-and-white barcode, you can customize how your Nametag presents in Instagram. From a simple gradient color background, to using your favorite emojis, and to taking a selfie, Instagram provides more choices for users to interact with this feature. Check out Guan’s Nametag creations below, Instagram is making QR codes more entertaining and fancier, right? For users, they are brought into the creation process of this new technology, and become the creators of their own unique Nametags. Although there is a critic saying that Nametag is the copycat of Snapcode (which also allows users to scan in order to add new friends) in Snapchat, from the perspective of aesthetics and user interaction, Nametag adds more entertaining elements than the yellow codes and conventional QR codes. QR codes as a communication technology for the business promotion has been analyzed by scholars (Ryu and Murdock 112; Shin et al. 1424), majorly through the method of Technology Acceptance Model (TAM). However, in this blog, QR code is regarded as a type of infrastructure, affecting how people relate to others in daily practices, especially on adding new friends in social media. Infrastructure can be understood as sociotechnical systems that are designed in the development of new technologies (Plantin, Lagoze, Edwards and Sandvig 295). Nguyen described the function of QR code in social media as a “new instant follow button or the new phone number” (n. pag. ), and the emergence of using QR codes is influencing the process of adding new friends, from the questions we ask to the actions we do on our apps. Yet, QR code is not a fully developed infrastructure, since the access to QR code is still a bane for most of people. Studies (Demir, Kaynak and Demir 412; Shin et al. 1425) showed that the recognition level of QR code is high, while the adoption level is relatively low. “Without a way to scan the code, users are left with a meaningless barcode” (Gu, Skierkowski, Florin, Friend and Ye 94). Several years ago, the solution was to download an another third-party code scanner (probably some people still do that today). Nonetheless, this just made the whole process a clunky experience. Due to this inconvenience of exacting information from QR codes, one critic even disclaimed that QR code was dead in 2013. Picture 3: An illustration by Jeff Tunrer of how people changed their business card layout after QR codes. However, technology changes and so does the infrastructure of adding friends gradually change. For Instagram, the icon of Nametags would appear at the upper column of your personal homepage, the one looks like a camera frame on its focus, immediately letting people to recognize this new function. Meanwhile, users can scan others’ Nametags easily through the Instagram Stories camera, without the installment of another app to read the codes. The other two prevalent social media, Snapchat and WeChat (the largest social media app in China), also allow users to add new friends by scanning QR codes, providing users with embedded QR code readers and obvious visible positions to use. The issue of how interface design dramatically changed people’s actions of adding friends should also be brought up. Do not be surprised that Facebook and Messenger have also already rolled out the feature of adding friends through QR codes long time ago. However, in everyday life, we are barely asked for our QR codes in Facebook and Messenger. It is the interface design that did not make this function stand out. They are hidden features showing in some corners where none click into. This interface design makes the access to QR code become a clunky experience, again. To give you a clear picture, a comparison video is made to explain how difficult or easy it is to find the icons of QR code function in four social media apps, Facebook, Messenger, Snapchat, and WeChat. Using QR codes to add new friends, as an emergent infrastructure, would fundamentally change the interface design of social media apps, and gradually alter the grounded perceptions of people asking questions for contacts. As McLuhan (90) said, “the natural effect of any new technology is to create a new environment for itself”. People may feel shocked at the first place about this “anti-environment” (McLuhan 90), and notice this infrastructure consciously. Nonetheless, when the society is fully infused with QR codes, like in China, people will use this technology unconsciously and it will become invisible just like the other infrastructures, electricity, the Internet, and so on. So next time, when you meet a new friend, you know how to add them. Try with QR codes, probably it will save you lots of time of correcting him/her the wrong spellings. Alexandra. “How to Use the Instagram Name Tag / QR Code (EVERYTHING You Need to Know).” Preview App, 28 Aug. 2018. <thepreviewapp.com/use-instagram-name-tag-qr-code-everything-need-know/>. Chen, Stephen. “How the QR Code Has Forever Changed China’s Social Habits.” South China Morning Post, 12 June 2017. <www.scmp.com/news/china/society/article/2095576/rise-qr-code-and-how-it-has-forever-changed-chinas-social-habits>. Constine, Josh. “First Look at Instagram Nametags, Its Clone of Snapchat QR Codes.” TechCrunch, 9 Apr. 2018. <techcrunch.com/2018/04/09/instagram-nametags/>. Demir, Seda, Ramazan Kaynak, and Kadir Alpaslan Demir “Usage Level and Future Intent of Use of Quick Response (QR) Codes for Mobile Marketing among College Students in Turkey.” Procedia – Social and Behavioral Sciences, vol. 181, 2015, pp. 405–413., doi:10.1016/j.sbspro.2015.04.903. Dou, Xue, and Li, Hairong. “Creative Use of QR codes in Consumer Communication.” International Journal of Mobile Marketing, vol. 3, 2008, pp. 61-67. Flynn, Kerry. “Why Are Facebook and Snapchat Pushing QR Codes in Our Faces?”Mashable, 8 May 2017. <mashable.com/2017/05/08/qr-codes-1app-snapchat-facebook/?europe=true#WM6bqecN65q0>. Gu, Lucy L., Dorothy Skierkowski, Paul Florin, Karen Friend, and Yinjiao Ye. “Facebook, Twitter, Qr Codes: An Exploratory Trial Examining the Feasibility of Social Media Mechanisms for Sample Recruitment.” Computers in Human Behavior, vol. 60, 2016, pp. 86–96. Guan, Christina. “Instagram Nametags Have Arrived! Here’s What You Need to Know.” Slaying Social, 25 Aug. 2018. <slayingsocial.com/instagram-nametags-have-arrived-heres-what-you-need-to-know/>. Kastrenakes, Jacob. “Facebook Messenger Launches Scannable Profile Codes, Just like Snapchat.” The Verge, 7 Apr. 2016. <www.theverge.com/2016/4/7/11383958/facebook-messenger-codes-announced-900m-mau>. McLuhan, Marshall. “The Emperor’s Old Clothes.” The Man-Made Object. New York: George Braziller: 90-95. Nguyen, String. “‘QR Are Cool Again’ Says Facebook Messenger – Marketing And Growth Hacking.” Marketing And Growth Hacking, 11 Apr. 2016. <blog.markgrowth.com/qr-are-cool-again-says-facebook-messenger-6ccc24edf646>. Ochman., B.L. “QR Codes Are Dead, Trampled by Easier-to-Use Apps.” Ad Age, 26 Mar. 2013. <adage.com/article/digitalnext/qr-codes-dead-toppled-easy-apps/240548/>. Ozkaya, Elif, H. Erkan Ozkaya, Juanita Roxas, Frank Bryant, and Debbora Whitson. “Factors Affecting Consumer Usage of QR Codes.” Journal of Direct, Data and Digital Marketing Practice, vol. 16, no. 3, 2015, pp. 209–224., doi:10.1057/dddmp.2015.18. Plantin, Jean-Christophe, Carl Lagoze, Paul N. Edwards, and Christian Sandvig.“Infrastructure Studies Meet Platform Studies in the Age of Google and Facebook.” New Media and Society, vol. 20, no. 1, 2016, pp. 293–310., doi:10.1177/1461444816661553. Ryu, Jay Sang, and Kenneth Murdock. “Consumer Acceptance of Mobile Marketing Communications Using the QR Code.” Journal of Direct, Data and Digital Marketing Practice, vol. 15, no. 2, 2013, pp. 111–124., doi:10.1057/dddmp.2013.53. Shin, Dong-Hee, Jaemin Jung, and Byeng-Hee Chang.“The Psychology behind QR Codes: User Experience Perspective.” Computers in Human Behavior, vol. 28, no. 4, 2012, pp. 1417–1426., doi:10.1016/j.chb.2012.03.004. Yuan, Li. “How WeChat Founder’s Obsession With QR Codes Reshapes Chinese Internet.” The Wall Street Journal, 25 Jan. 2017. <www.wsj.com/articles/how-wechat-founders-obsession-with-qr-codes-reshapes-chinese-internet-1485364619>. Featured Picture: Social Samosa. 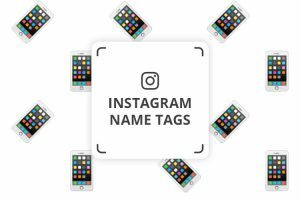 Instagram new feature “Nametags”. 2018. 23 September 2018. <https://www.socialsamosa.com/2018/03/nametags-instagram-scan/>. Picture 1: Mechanised. New feature of “Nametags” rolled out by Instagram.2018. 23 September 2018. <https://mechanised.co.uk/social-media/how-to-use-instagram-name-tags/>. Picture 2: Guan, Christina. Various layout choices of Nametags. 2018. 23 September 2018. <https://slayingsocial.com/instagram-nametags-have-arrived-heres-what-you-need-to-know/>. Picture 3: Turner, Jeff. 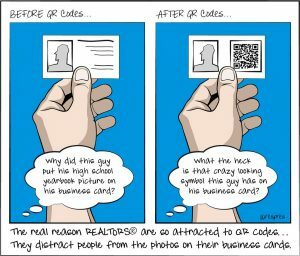 An illustration by Jeff Tunrer of how people changed their business card layout after QR codes. 2010. 23 September 2018. <https://www.flickr.com/photos/respres/5246500479>. Picture 4: Guan, Christina. New homepage layout of Instagram. 2018. 23 September 2018. <https://slayingsocial.com/instagram-nametags-have-arrived-heres-what-you-need-to-know/>. Video: Tang, Ziwen. How can you find QR codes in social media. 2018. 23 September 2018. <https://www.youtube.com/watch?v=B6Z7Tczsfqg>. 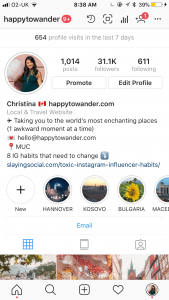 « IGTV: Instagram’s TV or Influencer’s TV?